The best of Canada: Caesar! 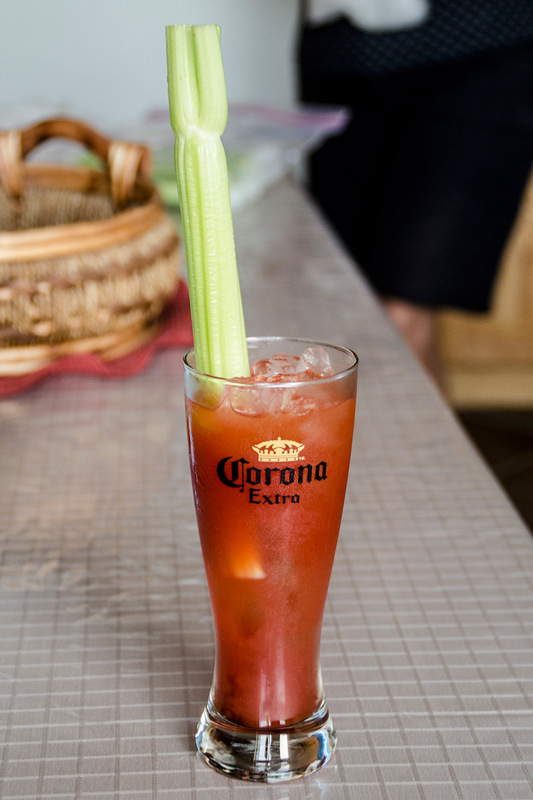 Ok, I have to be honest, when I was first offered a Caesar, I thought it sounded pretty disgusting. Who on earth would put clam broth in a drink? Seafood and alcohol wasn’t my idea of a good time. (Why Canada, why?!) However – upon tasting this drink, consisting of vodka, Clamato (tomato juice and clam broth), hot sauce and Worcestershire sauce and a celery stick, I actually really liked it. It is like a Bloody Mary, but better. Try to not think about clam broth part and just try it with an open mind. Yummy! I love clam chowder, but putting clam broth in a drink? Interesting choice. Canadian cuisine sounds exciting!